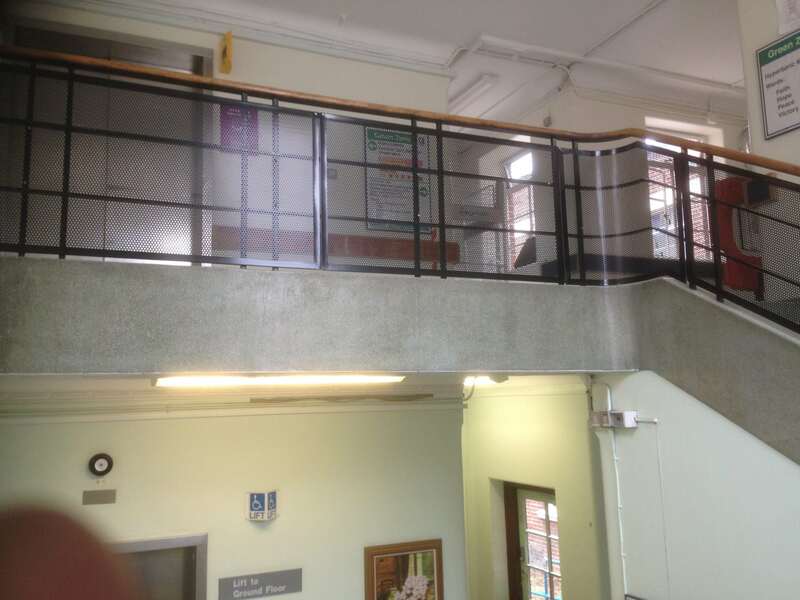 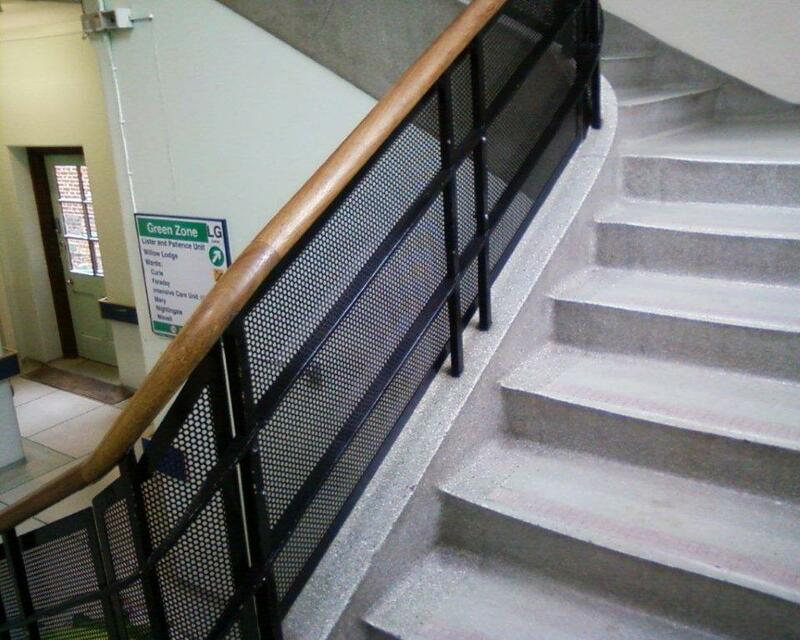 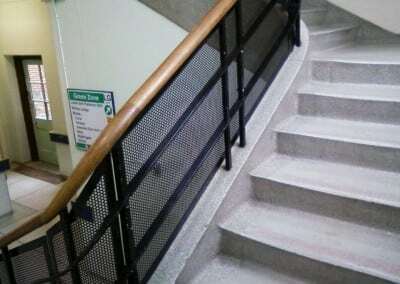 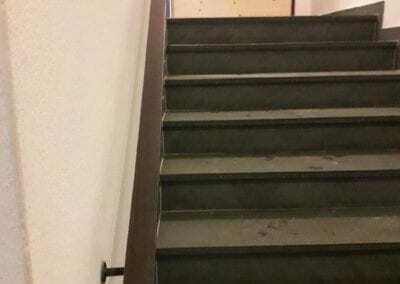 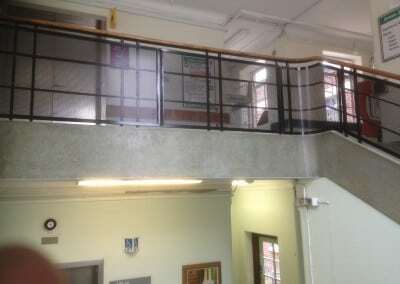 We were asked to provide steel panels to the back of the handrails on main staircases at the hospital, where a health & safety hazard had been identified. 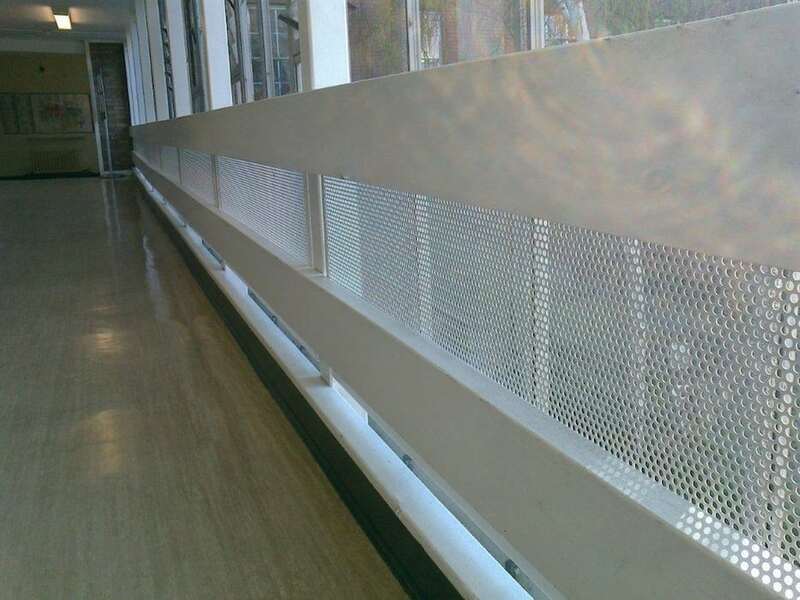 We fabricated perforated panels with a plain edging and powder-coated them white or black to provide the best blend with the different staircases. 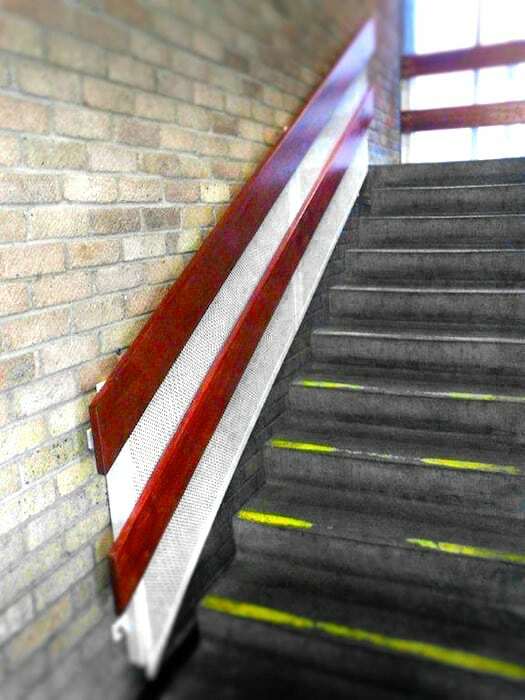 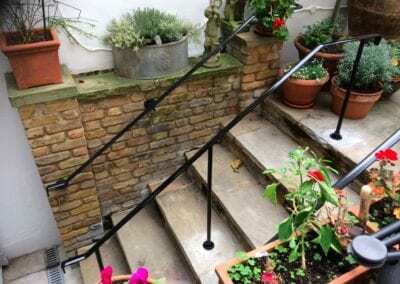 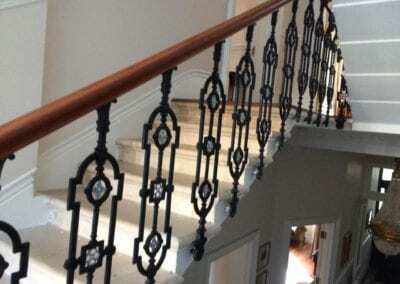 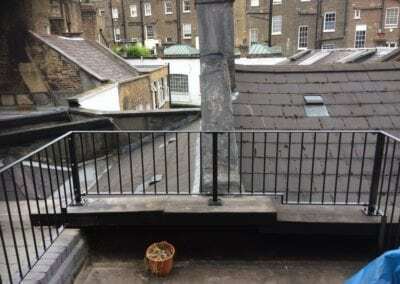 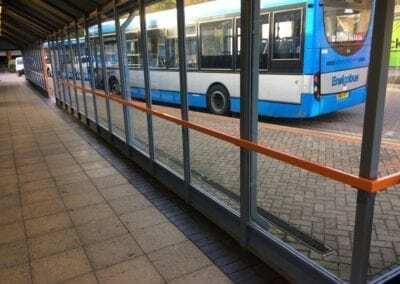 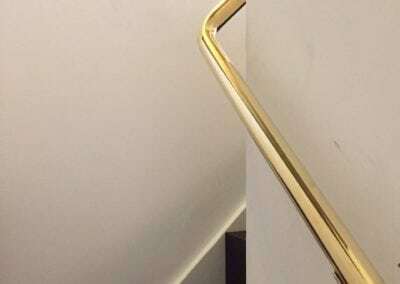 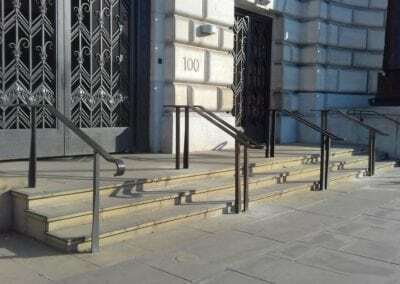 We then fitted them on site, ensuring there were no hazardous gaps between the handrails and the walls. 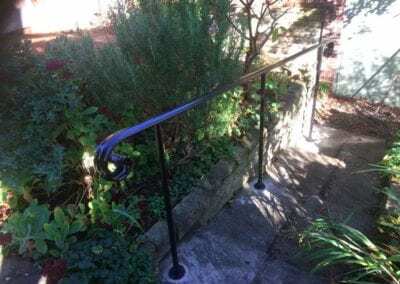 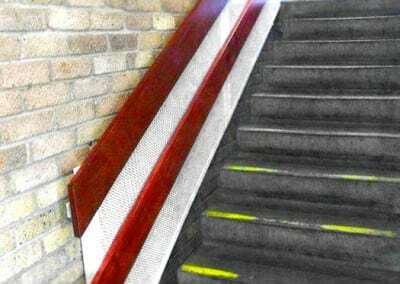 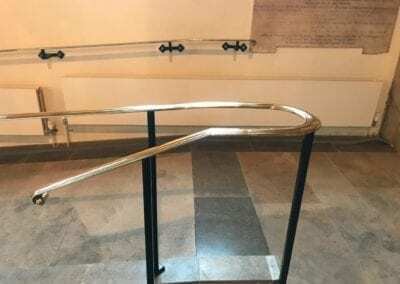 The result has freshened up the handrails, with the perforated panels giving a much lighter appearance than solid ones would.